Pyracantha plants are a genus of shrubs native to Asia. Seven species are included in the genus. They are all broadleaf evergreens with thorns. If untrimmed, they can grow up to eighteen feet tall. In the spring they produce white flowers which in turn lead to orange or red berries by fall. They are used both as bonsai trees and as ornamental hedges in outdoor landscapes. Description The Pyracantha is an evergreen tree, capable of growing to 18 feet in height. It is adorned with exquisite white blooms in the spring, and these give way to orange-red berries in the fall. Their rate of growth is slow when placed in bonsai pots. Position The tree is very hardy, but should be protected from extremely cold winds, or leaf damage will occur. It should be kept in a cool location when grown indoors. Watering Water the tree to keep the soil moist at all times. More frequent watering will be necessary during the growing season. If the soil is allowed to dry out during hot spells, the leaves will wilt. Feeding Feed every two weeks in the growing season. Leaf and Branch Pruning Prune out old branches in the spring before new growth emerges. Prune new growth to desired shape throughout the year. Re-potting & Growing Medium Re-pot in early spring before the emergence of buds. Deep, generously¬¬-sized pots are best. Use free-draining and loose soil that has been amended with organic matter: A mixture consisting of 40 percent organic matter and 60 percent aggregates is ideal. Wiring Pyracantha is tolerant of wiring, and this is best carried out on young, more flexible branches. Notes The tree is susceptible to pests, especially aphids. Growers should be vigilant, and be prepared to treat the plant with insecticide at the first appearance of aphids. The bigger threat to the plants health is the fire blight fungus. The fungus is transmitted from plant to plant by the leaf hopper insect. To minimize the risk of fungal transmission, it may be advisable to keep only a single specimen of the tree. The most important factor to consider while preparing a pot for your Pyracantha bonsia tree is the drainage capacity of the soil. These sensitive trees require a soil composition that allows for easy and consistent drainage. This is most easily accomplished through a loose, porous mixture. However, it is also necessary for the soil to contain organic sources of nutrition. Without this, the bonsai will not produce the flowers and fruit for which it is famous. There are two primary strategies for balancing the drainage and nutrient needs in the soil. The first is to use a potting mix made entirely of inorganic material, which allows for excellent drainage, combined with a topmost layer of plant-based fertilizer. The other strategy involves a carefully blended mixture of 40% organic soil and 60% inorganic aggregate. The aggregate portion is itself a blend, typically composed of granite, pumice, and sand. Make sure that any materials you use for the soil are sterile and free of insects or other pests. Unlike some other varieties, these trees do tolerate alkaline environments. The Pyracantha bonsai is one of the hardier varieties of miniature trees. It can be placed indoors or outdoors. Depending on your climate, you may wish to bring your bonsai inside for the entirety of the winter or for especially frigid nights. The tree can withstand temperatures as low as 10 degrees. Frigid winds do have the potential to cause damage to the leaves of the tree. You can protect the tree by either placing it in a place with a good degree of wind protection or else by bringing it inside when winds are forecasted to be harsh. When selecting a spot for wind protection, it is important to remember that these trees require full sunlight to flourish. Sunlight is also a key consideration when selecting an indoor location. Pyracantha bonsai are ideally placed in a cool room without artificial heating. If your home has a sunroom, this will usually be the best room to locate your tree in. Also make sure that your bonsai’s location has adequate ventilation. Without this, your plant may suffer from the fungal diseases that Pyracantha bonsai are susceptible to. The amount of water that your bonsai requires varies from season to season. During the spring and summer, when the trees are busy flowering and fruiting they will require more frequent waterings. Check the moisture level of the soil at least once a week. The easiest method for doing so is simply to gently insert your finger an inch or so into the soil. It is very important that you do not allow the soil to become dry. In the spring and summer months, water very generously. Continue to pour water into the pot until it flows out evenly from the drainage holes. This is one reason why it is so important to use a well-draining soil mixture for your pot. Watering in this way ensures that your tree will consistently have an adequate amount of moisture. When you make sure that your trees basic needs are met, you will be rewarded with beautiful flowers and fruit. During the autumn and winter, water less frequently. 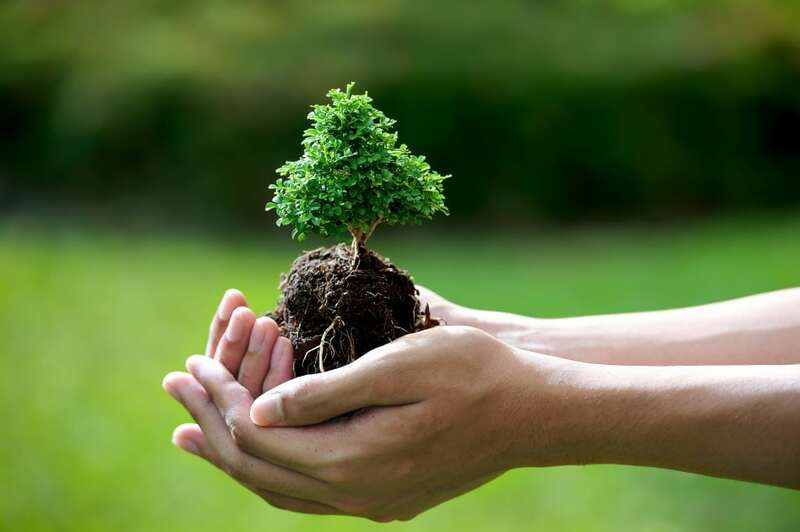 Most trees will need to have their soil checked two or three times a month. You can also use a smaller amount of liquid when you do water your plant. However, it is still important to make sure that you never allow the soil to completely dry out. These trees respond very well to pruning. You can shape them into almost any form; they can recover from even extensive and rapid pruning. One style which the Pyracantha tree can tolerate better than almost another other bonsai is the cascade style. 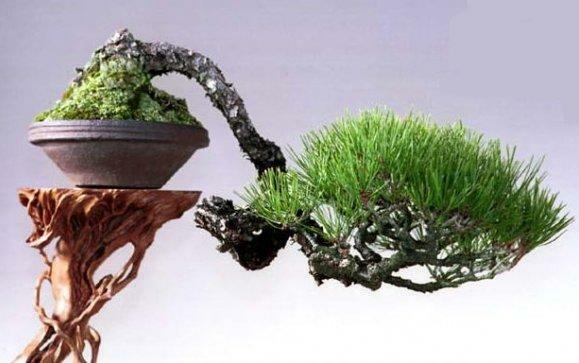 Whether or not you want to cut your bonsai into a particular shape for aesthetic reasons, it is advisable to perform at least some basic pruning. This well help ensure the continued health and strongest growth of the plant. Each year remove the old, brittle wood. This task is best performed either in early spring or late summer when the plant’s growth is activated but not in full blossom. These times are also good for cutting away any spent berries that are present. After the flowering is finished you can shape the plant into the designed form by trimming the newest growth. When the tree is under stress due to some form of pest, a recent repotting or lack of proper nutrition, pruning can help. You can remove some of the flowers in order to focus the plant’s energy on growing strong branches and leaves. Be aware that doing so will reduce the amount of berries produced. Aphids are one of the most frequently encountered pests for owners of these trees. They seem to appear every spring along with the new green buds. Luckily, aphids are relatively easy to deal with. Simply spray the plant evenly with an insecticide. Be sure to carefully read the label first to make sure the specific chemical you choose is safe for use with bonsai trees. The most serious threat to the health of a Pyracantha bonsai is fireblight. Fireblight is a fungal disease spread by leaf hopper insects. Unfortunately, once infected there is no way to cure your plant. There are steps you can take to protect your tree though. First, watch carefully for any insect activity in or around the plant. If you spot any insects immediately remove them. 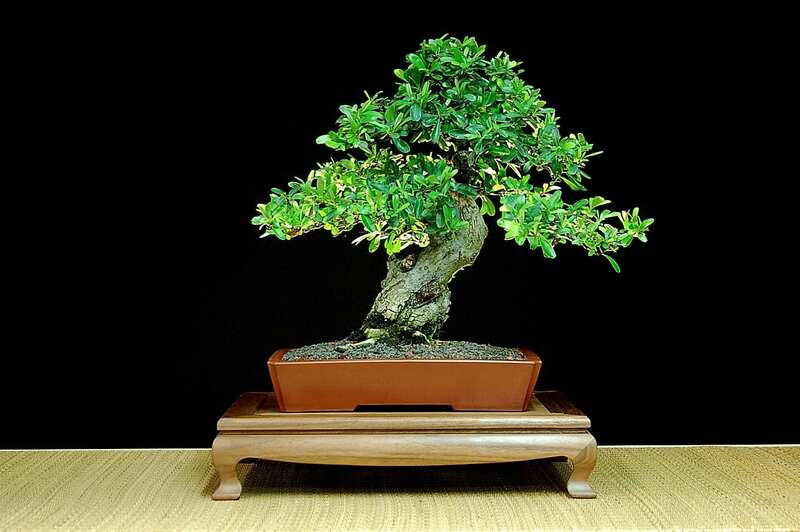 Secondly, reduce or eliminate your plant’s exposure to other bonsai trees, especially other Pyracantha trees. Third, always make sure to wash your hands before and after handling your plant. 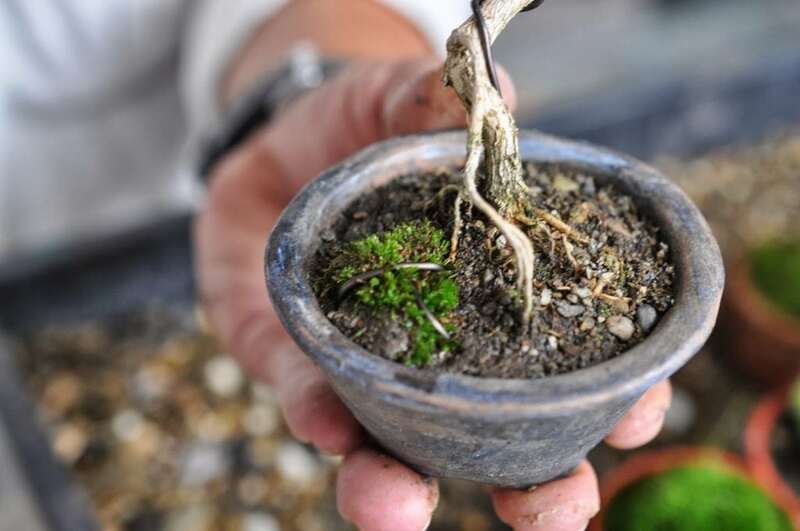 With the proper soil mixture, watering and care, your bonsai will be as healthy as it can be. Strong plants are less susceptible to all types of pests.